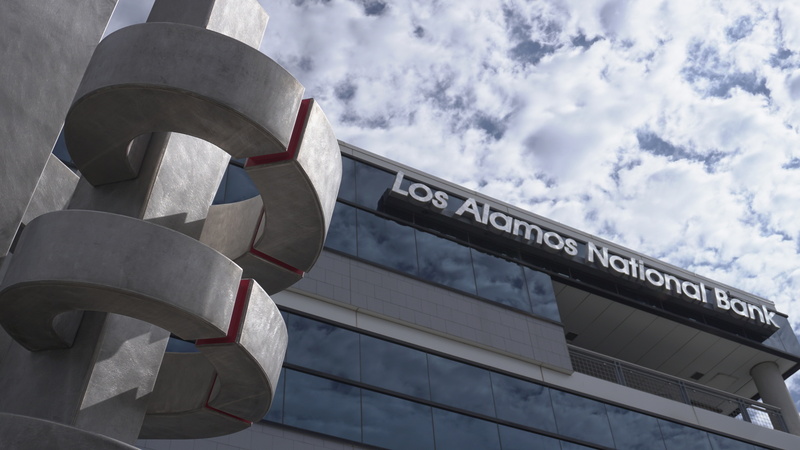 LOS ALAMOS, NM / ACCESSWIRE / November 9, 2018 / Trinity Capital Corporation (OTCQX: TRIN) ("TCC" or the "Company"), the parent company of Los Alamos-based Los Alamos National Bank ("LANB" or the "Bank"), today reported unaudited results for the three and nine months ended September 30, 2018. The Company reported net income available to common shareholders for the three months ended September 30, 2018 of $3.5 million, or $0.18 per basic and diluted common share, compared to net income available to common shareholders of $405 thousand, or $0.02 per basic and diluted share, for the three months ended September 30, 2017. The Company reported net income available to common shareholders for the nine months ended September 30, 2018 of $9.5 million, or $0.48 per basic and diluted common share, compared to net loss available to common shareholders of $2.5 million, or $(0.16) per basic and diluted common share, for the nine months ended September 30, 2017. "We are exceptionally proud of the results achieved so far this year. We have made great progress with the support of our customers and dedication of our employees," said John Gulas, President and CEO of the Company. Balance Sheet - Total assets declined $33.9 million from December 31, 2017 to $1.25 billion as of September 30, 2018. During the nine-month period ended September 30, 2018, interest-bearing deposits with banks decreased $18.9 million and investment securities available for sale decreased $30.8 million, but were partially offset by an increase in loans of $9.0 million and loans held for sale of $6.8 million. During the same period, total liabilities decreased to $1.15 billion, a decrease of $36.2 million, primarily due to a decrease in junior subordinated debt of $10.2 million as a result of the partial redemption of our trust preferred securities and a decrease in deposits of $29.9 million, partially offset by an increase in short-term borrowings of $13.1 million. Shareholders' equity (excluding stock owned by the ESOP) increased $3.0 million to $102.6 million as of September 30, 2018, compared to $99.6 million as of December 31, 2017, primarily due to the year-to-date earnings and partially offset by the increase in accumulated other comprehensive income due to the decrease in market value on the available for sale securities portfolio. Capital - The Company exceeded its regulatory capital requirements at September 30, 2018 with Tier 1 leverage ratio, common equity Tier 1 risk-based capital ratio, Tier 1 risk-based capital ratio, and total risk-based capital ratio of 11.2026%, 13.5148%, 16.4308%, and 17.5493%, respectively. The Bank's capital ratios fell into the category of "well-capitalized" at September 30, 2018 with Tier 1 leverage ratio, common equity Tier 1 risk-based capital ratio, Tier 1 risk-based capital ratio, and total risk-based capital ratio of 10.7753%, 15.8115%, 15.8115%, and 16.9333%, respectively. Recent Development - On November 1, 2018, the Company and the Bank entered into an agreement and plan of merger (the "merger agreement") with Enterprise Financial Services Corp ("EFSC") and its wholly-owned subsidiary, Enterprise Bank & Trust ("EB&T"), pursuant to which the Company will merge with and into EFSC, with EFSC surviving (the "merger"). Immediately following the merger, the Bank will merge with and into EB&T, with EB&T surviving. The board of directors of each party to the merger agreement has approved the merger. The completion of the merger is subject to customary closing conditions, including the approval of the Company's shareholders and bank regulatory approvals, and is expected to close in early 2019. Directors and certain shareholders and executive officers of the Company have entered into agreements with EFSC pursuant to which they have committed to vote their shares of Company common stock in favor of the merger. Under the terms of the merger agreement and upon completion of the merger, holders of Company common stock will have the right to receive 0.1972 shares of EFSC common stock and $1.84 in cash for each share of TCC common stock they hold, subject to certain adjustments. Based on EFSC's closing price of $43.45 per share on October 31, 2018, the merger consideration mix would result in a total of approximately $38 million in cash and $175 million in EFSC shares. Trinity Capital Corporation is the parent company of LANB. LANB is one of the largest locally-owned banks in New Mexico with current assets of more than $1.2 billion. Through the responsive work of over 200 professional employees, LANB is proud to offer a full range of banking services with the highest degree of customer service to businesses and residents in Northern New Mexico and the Albuquerque metro area. A true community bank with six full-service locations, LANB ranks as one of the top mortgage providers in the state. LANB has been voted one of the Best Banks in Santa Fe by the readers of the Santa Fe Reporter for the past twelve years. LANB was the first corporation in New Mexico, as well as the first and only bank in the nation, to earn the prestigious Malcolm Baldrige National Quality Award. Founded in 1963, LANB is headquartered in Los Alamos, New Mexico. For more information visit LANB.com or call 505-662-5171. This press release contains, among other things, certain forward-looking statements within the meaning of the Private Securities Litigation Reform Act of 1995, including, without limitation, (i) statements regarding certain of TCC's goals and expectations, and (ii) statements preceded by, followed by, or that include the words "may," "could," "should," "would," "believe," "anticipate," "estimate," "expect," "intend," "plan," "projects," "outlook" or similar expressions. These statements are based upon the current belief and expectations of TCC's management team and are subject to significant risks and uncertainties that are subject to change based on various factors (many of which are beyond TCC's control). Although TCC believes that the assumptions underlying the forward-looking statements are reasonable, any of the assumptions could prove to be inaccurate. Therefore, TCC can give no assurance that the results contemplated in the forward-looking statements will be realized. The inclusion of this forward-looking information should not be construed as a representation by TCC or any person that the future events, plans, or expectations contemplated by TCC will be achieved. Additional factors that could cause TCC results to differ materially from those described in the forward-looking statements include difficulties and delays in integrating the Company and EFSC and achieving anticipated synergies, cost savings and other benefits from the transaction; higher than anticipated transaction costs; deposit attrition, operating costs, customer loss and business disruption following the Merger, including difficulties in maintaining relationships with employees, may be greater than expected; required governmental approvals of the Merger may not be obtained on the Merger's proposed terms and schedule, or without regulatory constraints that may limit growth; competitive pressures among depository and other financial institutions may increase significantly and have an effect on revenues; the strength of the U.S. economy in general, and of the local economies in which the surviving corporation will operate, may be different than expected, which could result in, among other things, a deterioration in credit quality or a reduced demand for credit and have a negative effect on the combined corporation's loan portfolio and allowance for loan losses, and other factors found in TCC's reports (such as Annual Reports on Form 10-K, Quarterly Reports on Form 10-Q and Current Reports on Form 8-K) filed with the Securities and Exchange Commission (the "SEC") and available at the SEC's website (http://www.sec.gov). All subsequent written and oral forward-looking statements attributable to TCC or any person acting on its behalf are expressly qualified in their entirety by the cautionary statements above. Forward-looking statements speak only as of the date they are made, and TCC does not undertake any obligation to update any forward-looking statement to reflect circumstances or events that occur after the date the forward-looking statements are made, except as required by law.